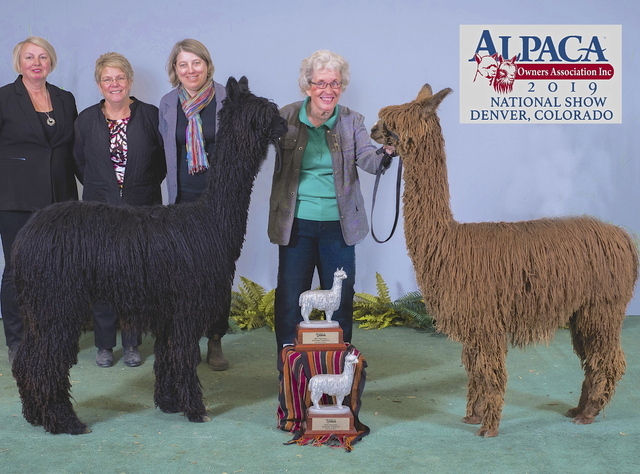 PINES EDGE SURI ALPACAS has excelled in breeding high quality Suris for over 20 years with the goal of producing healthy, reproductively sound Suris that exhibit exact conformation and outstanding fleece character of fineness, luster, lock and density. 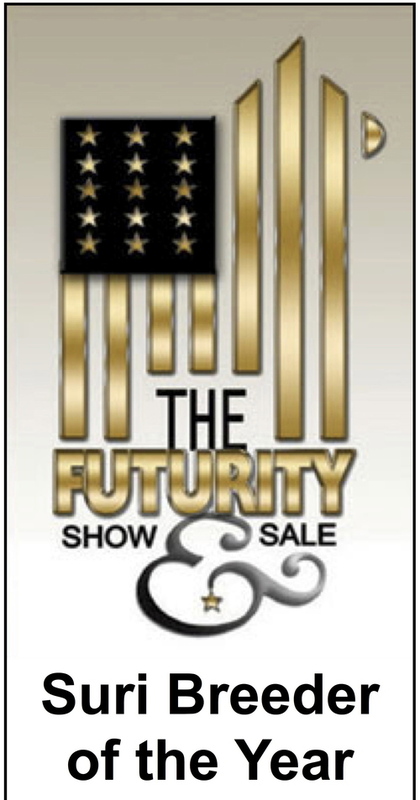 We enjoy the beautiful natural fleece colors Suris offer and continue to focus on the breeding of Suris of color. 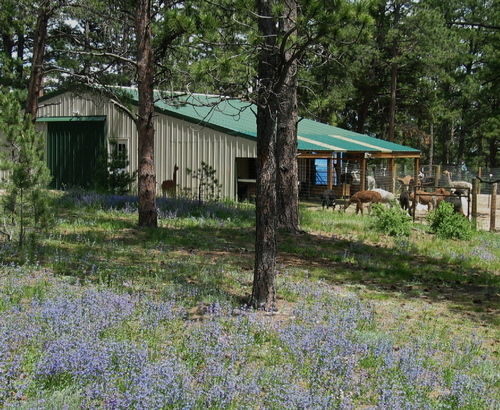 We've downsized to a very select Suri herd of the best bloodlines with the goal of producing quality SEED STOCK. If you are planning to enhance the conformation and fleece character in your Suri herd, we have what you are looking for and at fair prices. Check out our foundation females' pedigrees, fiber stats, show wins and who they are breeding to, and you will see the top names in today's Suri industry. Linda has actively volunteered in support of the Suri industry and is past President of the Suri Network and currently serves as the SHIP Classification Program Director and she is a current member of the AOBA Show Rules Committee. Please don't hesitate to call to talk Suri and discuss any questions you may have. 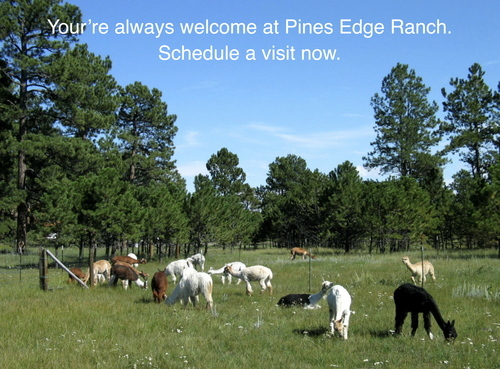 Our success is built on the success of our clients, and we look forward to meeting you when you come to visit the Suris at Pines Edge Ranch. After 20 successful years raising champion Suris, we have downsized to a very select number of foundation females and herdsires. Our 'stud females' are bred to only the best Suri herdsires in the country, assuring production of the highest quality offspring offering the serious Suri breeder outstanding SEED STOCK at fair prices. Carefully planned breeding decisions using scientific data and superior genetics result in quality Suris, with elite fiber traits, that offer the best value in today’s market.